Hey, everyone! I’ve got a new resolution: try to post a new review every single day. Let’s see how I hold up. Ha! Now that’s out of the way, let’s get back to business. 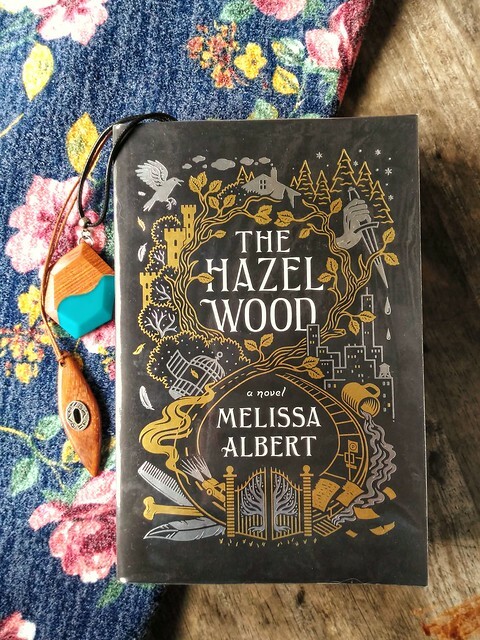 I picked up The Hazel Wood because of three things: the cover is gorgeous (I mean, look at it! ), I’ve heard so much great things about it, and the bookstore was on a store-wide sale. What’s a girl to do? The blurb sounded like a lovechild-retelling of Alice In Wonderland and Little Red Riding Hood. Naturally, I dove right in. First, I didn’t expect the story to be set in the current time, which kind of threw me off briefly. I thought it was going to be told in a backdrop of some old or fantastical land and setting for some reason. But alas, we are in New York: the melting pot of all supernatural things in the YA fantasy world. I was waiting for Alice to bump into Percy Jackson and friends, Clary and her Shadowhunters, or maybe even the Avengers. Why’s it always set in New York, I wonder? Anyway, it all ended up alright, because for a debut author, let me tell ya, this book was a great read. First, the premise and the story itself were greatly executed. It was creepier than I expected; harsher, more visceral. It’s Alice in Wonderland with the creepy volume turned all the way up and there were times when the little hairs on my arms legit stood up. It’s definitely not a book to read right when you’re about to sleep. I had to watch several One Direction videos to wash everything off. It’s a mishmash of all things strange and sinister. I loved the air of mystery that surrounded everything like a blanket. I loved the characters that literally came straight out of a fairytale. I enjoyed the narration and tone, too— it manages to be snarky and fearful at the same time. What’s funny is that Alice’s nor Finch’s characters didn’t interest me as much as the fairytale characters around them did. Don’t get me wrong, I think they were still well-written and fleshed out— Alice more than Finch, actually— but next to characters like Twice-Killed Katherine, they kind of paled in comparison. There were times where the crazy world gave me a kaleidoscope headache, but it was still a ride I thoroughly enjoyed. 4 creepy stars for this one!